30% Off Discount Code at DarkStar Vapour. Just add this code in before checkout for 30% off your cart total. 20% off Black Friday discount code at Liquid Voyage. Just add this code in before checkout for 20% off. 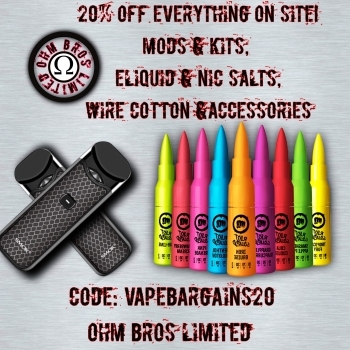 10% off ALL BLACK FRIDAY HARDWARE using this code in your cart before you checkout at Vaping101.co.uk. This Black Friday Sale will end Saturday morning. 30% off ALL JUICE ON SITE using this code for Black Friday - Sale will end Saturday morning. Add this coupon to your basket to get 15% off EVERYTHING at FastTech. This Black Friday Discount Code is valid until November 27th.